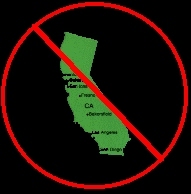 Hey kids, I have recently been notified that some people are still using this angelfire site for the Peoria Shows page. We had to switch servers. 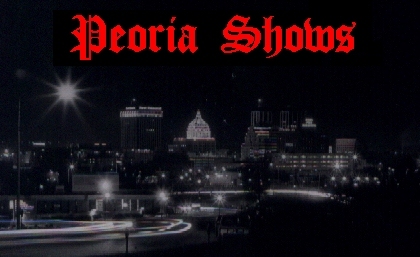 You can now access the Peoria Shows page through www.peoriashows.net. So update your bookmarks to keep up with area shows. Melvin would like to take this time to thank the following people. some have helped me out with this page and some haven't. & in no particular order: Jeni Goertzen, Rachel Goodin, Mike Farmer, John Farmer, Billy & Heather Hawley, Kevin Martin, Amanda Gobble, Bill Rudloff, Lindsey Sharp, Curt Moeckel, Eric "Suit & Tie Guy" Williamson, Corey Flanigan, Erik Swanson, Mike ?? ?, Alex Rodgers, Jesse Martin, James Strevells, Mike Perveiller, Chris Paluch, Chris Gill, Victor Downs, J.T. Harbaugh, Pat Liddel, Tom Riley, Corey Dixon, Tim Beck, Zak Piper, Dave Thompson, Adam "Bubba" Brook, Nathan Hahn, Anthony Abbinanti, Corey Stambaugh, Jeff Baskett, Kevin Dixon, Beau Brewer, Jenny Boniger, Robbie Hanlon, ArsoNick Scum, Dave Moe, Jenny Moe, Chris Anderson, Chris Riley, Jeff, Rick Julian, Bloody Mess, Brody & Julie Maag, Dallas Texas, Andy Eades, Jacob Faw, Andrea Ulbricht, Mark Whittinghill, Brian Guiren, Tim Mead, Jamie Bradford, Chris & Corey Bennet, Jason Spatifore, Elvis Presley, Mike Beck, James Logsdon, Josh Haller, Jeremy Loberg, Matt Beneventi, Justin Whittaker, Sarah Anton, Nate Anton, Joe Osunsami, Mike Zilch, Crazy James, Aaron Hillman, Jenny and Joanna from Lincoln, Ben Woodhouse, Jenni Black, Julie Emrick, Laura Parsons, Derrick Hostetter, Raven White, Jared and Lindsay Madigan, Polly (Katy) Brady, Joel Madigan, Mike Malin, Tim Kowalski, Tyson Markley, System 2, Mike Taylor, Trevor McCoy, Mindy Hoffman, Tracy Simmons, Jenny Creamer, Laura Satterfield, Lee Hasselbacher, David Early, Rachel Clellen, Amanda Robinson, Michelle Stokes, Gary Hale, Brooke Broshear, Allison Parsons, Terica Solomon, Jake Jeremiah, Dark Mark Hazard, Chris Garrels, Josh Bonati, Matt & Mike Halloway, Dan Hinkley, Justin Chandler, Tom Muir, Chris Hickman, Brian Gosack, Sean Urich, Matt Lappie, Todd Monari, Rob White, G-Child (Shawn Washington), Rob-Dawg Jones, Steve Jones, Heidi Goldberg, Tracy Brewer, Meagan Gorsuch, Nick Eagle, Tiffany Lamprecht, Nick Conway, Jason Hedrick, Doug Sharky, Donny and Bob, Jeff Wahl, John Hopkins, Chris Murdock, Jared Grabb, Jeff Grabb, Mike Gilbert, Kyle Cornelius Donkey, Talking Alan (Jeff), D.J. Jazzy Jarrett, Talia Pate, Maria Mattarelli, Dan Durst, Amy Michael, Drew Fustin, The kidz from the Bert Rolli mag, Josh & Joe Schwindenhammer, Bryan J. Polk, Ryan Patrick Sullivan, Tim Donsbach, Child Prodigy & the rest of 1209 Towanda, Joe & Ryan Martin, Jason Moll, Brandon "Ooze" Lee, Andy Quitter, Vince Quitter, Jeremy Quitter, Seth Russell, Geoff Frost, Josh & Paul from DAB, LeAnne from Tiamat, Lucas & Shelly Chase, Jeff Chase, Kate De Groot, Dustin Addis, Sean Brant, Brad Scogin, Jessica Fuller, Tom Moore, Lindsay Jacobson, Kendra Senrick, Aaron Felder, Melissa from Chicago (Punk Chick), Crystal Minson, Bryanne England, Kyle Lueck, Missy Camper, Crystal Lopez, Damon, Lindsay Vaughn, Myke Weinberg, Paul Reynolds, Destin Hoots, Jaime from Princeton, Matt Shane, Adam Widener, Sean Silman, Devin Green, Myke Grey, Devin Useless, Brian & Mike Hayes, Stacy Bevency, Amanda Cool, Lisa Cool, Matt Hoyer, Jessica Hoyer, Dawn Wenniger, Ryan Winstead, Ken Keltner, Jason Myers, Samantha, First Grade Crush, Frank Schrapmire, Jason Link, Chris Trovero, John Lady, Shannon Lady, Dan Schmidt, Chris Turdmeir, Tom Satterfield, Marsha Satterfield, Nick Stahl, Brad, Valeri Lane, Cathy Bueck, Dave McAtee, Glynda Rolle, Mandy Scheir, Dave Martin, Curtis Lee, Rob Waldo, Charlotte Bialeschki, Abby Look, Josh Shepherd, Mick Couri, Brian Niemeyer, Andy Boltron, Nick Zosky, Rich Bloodworth, Drew Roggy, Tim Schloz, Aaron Rademaker, P.J. Robbins, Jake Hammel, Craig, Sean Webster, Caleb Ogden, Brian Layhew, Troy Teaney, Justin Hoffman, Tim Beeney, Joshua Stonewall, Michelle Carlson, Amanda Riley, Sean Joyce, James Curless, Josh Michelletti, Dustin Wikoff, Shanea Bodtke, Stacy Hauser, Tonya Swearingian, Brooke and Rishika, Mary Lynne Schroeder, Norm Sales, Andrea Frampton, Dictator Dan, Sam McIntyre, Zach Clayton, Keri Clayton, 2-tone Luke, Jeremiah & Melody Lambert, Lenny King, John Phillips, Tracy Frank, Drew McDowell, Dawson Barrett, Jenna Scifers, Ashley & Tim from WIU, Veronica Rensimer, David Moseska, Paul Nycz, Holly & Aaron Austin, Jake Conner, Todd Smith, Everyone at The Freudian Sip, Andrew Metalwarrior, Rachel Eidsen, Lizzy Rose Tomlin, Metamora Jen, Kendra B, Rustie Robison, Dwayne, Rich Taube, Greg Tracey, Brad Baker, Matt Graciek, Alex Stoner, Nate Hawksworth, Rob Applegate, Tim Hasler, Jayme Knight, Larry Harms, Andrew Greene, Ellie May Waite, John Beatey, Ben Jackson, Lauren McFarden, Bethany Anne, Merideth, Matty G., Tyler, Ryan Jaynes, Turtle Shover, Nicole NYC, QC Lindsey, Metal Bill, Amy Michael and Matt Johnson, Richie, Justin NJ, Beef, Shitface, JP Pollard and Dance Squad B, Kent Wagenschutz, Boomer, Gunshot Nate, Bryan Beat Back, Steve-O, & everyone on who's ever been to or booked a show. Most of all, I would like to thank Leo Fender for his innovative genius in the invention of the electric bass guitar, solid body guitar & the bolt-on neck. Melvin would not like to thank The Alkaline Trio in any way, shape or form.